To celebrate our one year anniversary, my husband Stevie and I stole away to the Golden State for a good ol' fashioned road trip up the California coast. Our nine day trek boasted some of the most stunning views we've laid eyes on. Here's a breakdown of our time in not-so-sunny-but-still-stunning Southern California! Our good friend Matt (who is well on his way to being the next big deal in screenwriting) picked us up from the airport. Of course, the first stop on the road trip could only be In-N-Out. We stayed with my best friend from college and her husband in Newport Beach for the first couple of days and just caught up over coffee and great meals. Fish tacos from Bear Flag in Newport Beach. 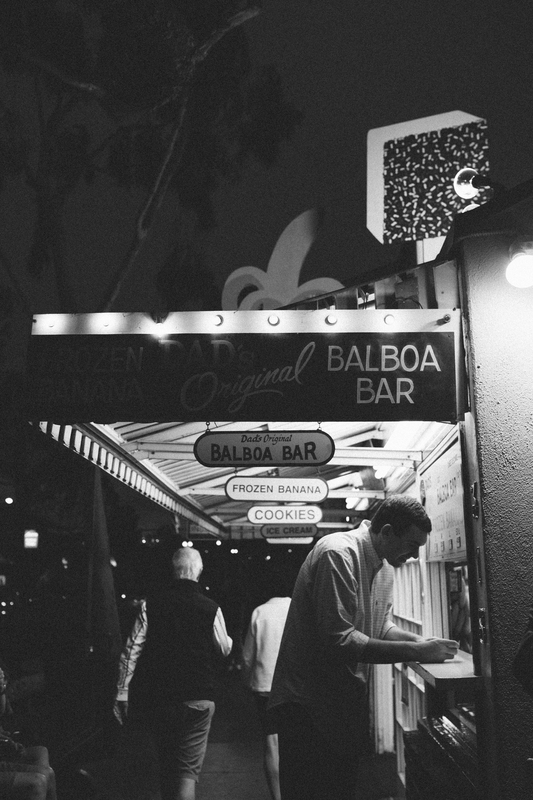 We were set on exploring Balboa Island and its (in)famous banana stand. We ordered frozen bananas and Balboa bars and successfully checked off the one item on our Arrested Development Bucket List. We didn't find any cash stashed in the walls, but it was still a win in our book! We went to an adorable little spot for brunch in Crystal Cove the next morning. The Beachcomber typically has at least an hour wait, but with coffee in hand and our toes in the sand we were happy campers. On Sunday morning, we rented our car and headed up the coast. First stop, Malibu! I was clearly the third wheel to Stevie and his selfie stick. We spent most of the afternoon exploring Santa Barbara. We wandered down State Street (the city's main drag), met up with my sweet friend Hannah (whom I met while I was abroad in Paris), and tried Julia Child's favorite restaurant in Santa Barbara (a sleepy but authentic Mexican joint called La Super-Rica Taqueria). I loved the consistency of the Spanish architecture—even the movie theater seemed out of a different era! 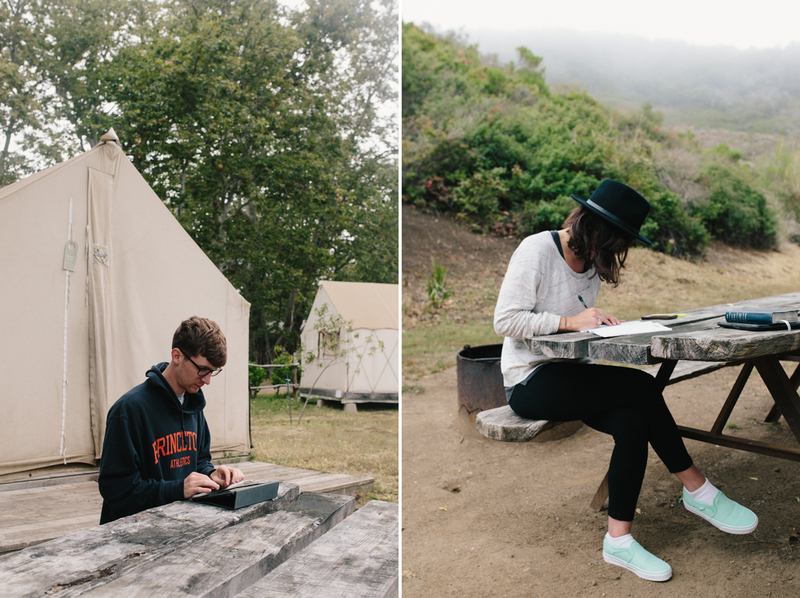 That night we went "glamping" at El Capitan Canyon just north of Santa Barbara, and it was such a cool spot! Our platform tent had a bed and electricity, and our neighbors jumped in the pool, played croquet, and strummed their guitars as the sun set. If you make the trip, swing by a grocery store on the way to get your grilling essentials—each campsite has its own picnic table and fire pit! On Monday, we meandered up the coast to Pismo Beach and watched surfers battle the Pacific waves, then made our way to see the elephant seals in San Simeon. Literally, it is wild y'all. Circle of life right there. In the afternoon we toured Hearst Castle, a palace overlooking the central coast that was built by the controversial newspaper tycoon William Randolph Hearst (aka Citizen Kane). If a Californian reimagined Versailles, this would be it. We ended the day in San Luis Obispo, and caught the sunset. Southern California was such a treat and was packed with reunions and new experiences, but our favorite moments were found farther North. Check back soon for photos from the second half of our trip!